News broke over Labor Day weekend that a hack took place that exposed racy photos of several celebrities and athletes, including McKayla Maroney. 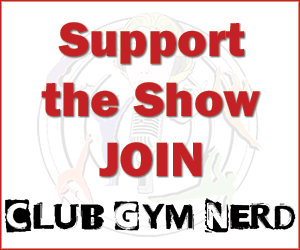 We discuss how the gymternet has responded–specifically how Gymnastike and parent company Flocast, handled the news–and the backlash they have received. How much Jessica loves coach, Katie Richards from Heathrow who presents stickers for goals met and gives exactly zero craps about the feelings of wimps. Was it fair that this week the celebrities didn’t have to use real rhythmic equipment? All trampolines should be covered with rose petals from now on. The awkward sexual innuendo moment between Louis Smith and host, Alex. The magic Dave-Roy Wood must be working on Amelle because she hasn’t developed any mental blocks after a terrifying crash! How to avoid accidental choking when attempting rhythmic gymnastics. Behind the scenes scoop from Emma and Jenni who were in the studio. Read Jenni’s thoughts on Tumble and more on her blog or Twitter. Emma is on Twitter and blogs about her gym nerd here. 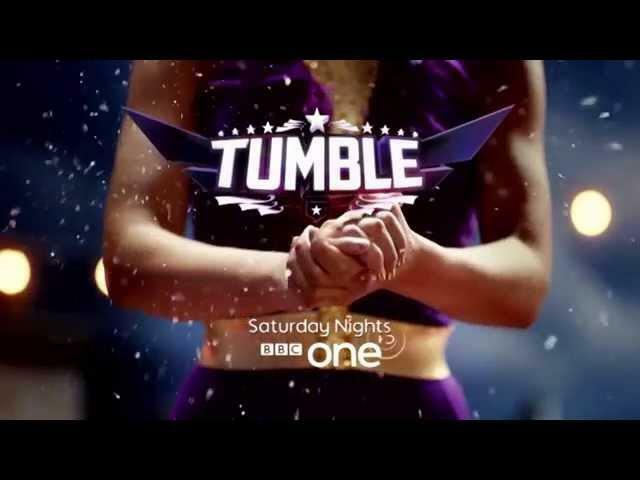 Danusia Francis has been blogging about Tumble on her blog as well. Check out all of Emma’s nerdtastic adventures in gymnastics fandom at MoominWhiskey Meets. If you are outside of the UK and want to watch Tumble on BBC One, you can use FreeTVCafe.net here. Use at your own risk. There are a ton of play buttons that will automatically download crap onto your computer. Be extremely careful not to click on an advertisement. Less risky is using a VPN. Try TunnelBear, Zenmate, GetUsVPN. How we all felt when Nadia saved Lucy. oh are we still discussing Tumble? (lol). You know you love it! Besides, it’s almost over…..until ABC picks it up in the states! Muahahahha!